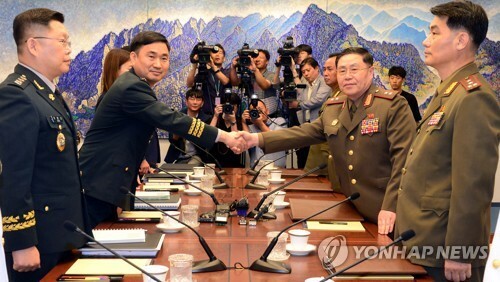 The two Koreas held general-grade military talks Tuesday to discuss measures to enforce the military part of their April summit agreement to reduce tensions and enhance cross-border ties. 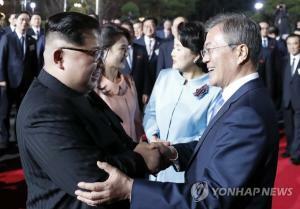 The meeting, the first one since June 14, took place at the Peace House, a South Korea-controlled building at the truce village of Panmunjom inside the Demilitarized Zone (DMZ) separating the two Koreas. Major Gen. Kim Do-gyun led the South's five-member delegation, while the North's side was represented by Lt. Gen. An Ik-san. "There is a saying that goes like this: Grains will not grow well when they are not taken care of. 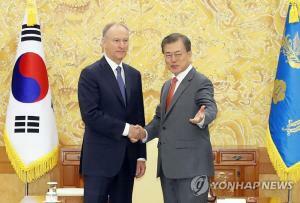 I think it takes time and effort to reap good grains," Kim said at the start of the talks. 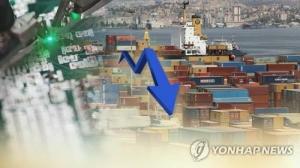 "Through the April 27 Panmunjom Declaration, I think seeds have already been planted. By putting our heads together for earnest deliberations despite the sweltering heat, I think we can definitely secure a good harvest this fall," he added. Kim was referring to the summit declaration that called for the Koreas to halt all hostile acts and seek to alleviate tensions and "practically eliminate the danger of war." During his opening remarks, An pointed to recent media reports in the South that Pyongyang's delegation had sought to "sway" the United States and then the South to push for the declaration of a formal end to the 1950-53 Korean War. The North has been seeking the political declaration in an apparent move to ensure its regime security, but the U.S. apparently wants the communist state to take concrete denuclearization steps first. 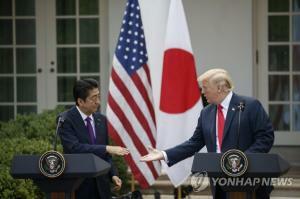 "Before we vouch for the authenticity (of the reports), we have learned that all Koreans, both the North and South, cherish our talks, and I think this is a scene that makes us realize the sense of duty, if you will, or the share of the military authorities in the inter-Korean efforts for peace and prosperity," An said. "What I want to say at the beginning is that I want to give pleasure to all people in the North and South, and the people around the world who are watching this meeting, by discussing issues heart to heart from a position of us being the principal parties on the matters," he added. 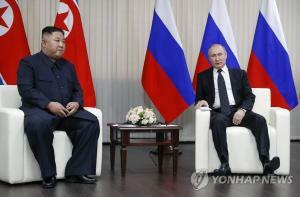 The first round of the talks began at 10 a.m and lasted for about 50 minutes. 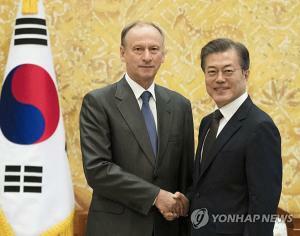 Observers said that the two sides could exchange views on disarming the Joint Security Area (JSA) in Panmunjom as part of efforts to transform the DMZ into a "peace zone," an issue that they discussed at last month's talks.